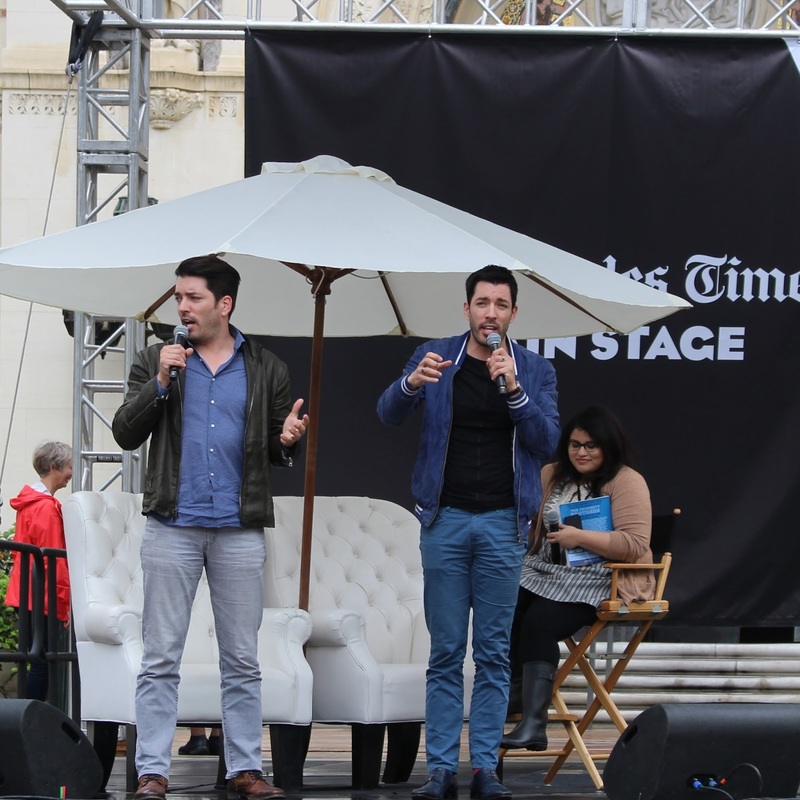 As I descended upon the Los Angeles Times Festival of Books on the campus of University of Southern Calfornia this past weekend their was a certain joy in the air. The rain and cloudy weather did not stop book lovers from meeting their favorite authors, discovering new books, and joining in on activities & as well as eagerly awaiting the panels. Host of Bravo Top Chef's Padma Laskhmi talked about her book 'Love, Life, and What We Ate'. Through out the discussion Padma talked about her love of food and where it stemmed from. She talked about sweet story of her climbing cabinet like a temple monkey to reach spicy food. And in turn how her daughter, Krishna, when preparing meals would push the hot peppers on guests to see a reaction out of them. Through her modeling years she talked about booking a shoot with famed photographer Helmut Newton and suddenly cancelling it two days prior. She got a call back from him six weeks later. She talked about finding strength in embracing her scar. She would emphasizes she does not want her scar to be retouched in magazine covers and photo shoots. I'm not sure I can ever go back to any other place, after an experience like this. This place is appropriate in a space that lends so much gravitas to events. The design of LA venues is sharp and environment is unbelievably good.